Nine years ago Jim and I closed on the sale of our townhouse. We moved in on a wet February day wanting a child we seemed unable to conceive, with one dog, a ferret, and furniture that screamed 1988. We left two and a half years later with two children and a ferret. The dog we’d brought and the one we acquired while living there were re-homed to save them from the chaos our early parenthood. We left with furniture too fine and foolish for children or ferrets and moved into this house on a gentle autumn day, the seventeenth of September, 2004. These nine years are the longest period I have ever lived under one roof – this is my home. At the top of the stairs where five doors fan out like spokes around a wheel, I can see my younger self bent over one of my babies, diapering a bottom after a bath. We had so many happy baths with toys and tub crayons. I rarely see my children’s bodies now, just glimpses as I retrieve a shirt with a stain before it sets in or they need my help escaping some haphazard buttons. When my children were small, I was so familiar with their forms that I didn’t notice how blue my son was against my daughter’s pink skin until I saw them later in photographs, all perspective lost in the pleasures of playtime. When my son needed me the way small children need their mothers, I was so accustomed to his scars that I rarely noticed them. Increasingly, my children’s privacy is preserved, and they care for themselves, as they should. Now that age has made me a necessary and appropriate stranger to my children’s bodies, sometimes I am startled by Liam’s scars but I am even more startled by our distance. This house holds the memories of my close care, my attentive affection that has transformed from diapers and baths and readying children for preschool to signing them up for skating, art, and archery lessons, and . . . middle-school. The motherly duty of my hands has fled from feeding and attending their flesh to phones and keyboards and keeping up with what’s going on in their ever-more-independent lives. I’ve long since left potty-training and now worry about puberty. I don’t manage temper tantrums or naps; I manage calendars and commitments. When I was younger, I measured moments and hours away at work, but I was better at nurturing than I ever knew. With all opportunities for improvement lost to time, I know I was a good mommy. Now, I hope to look back one day and see I was a good mom too. 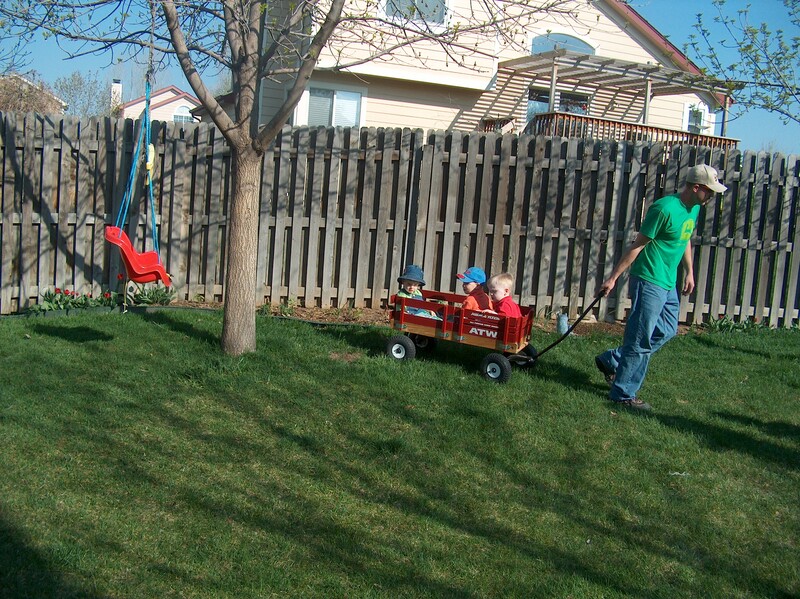 The last owners of our house left a baby swing roped to the tree that Liam would name Lighting McQueen two years later. 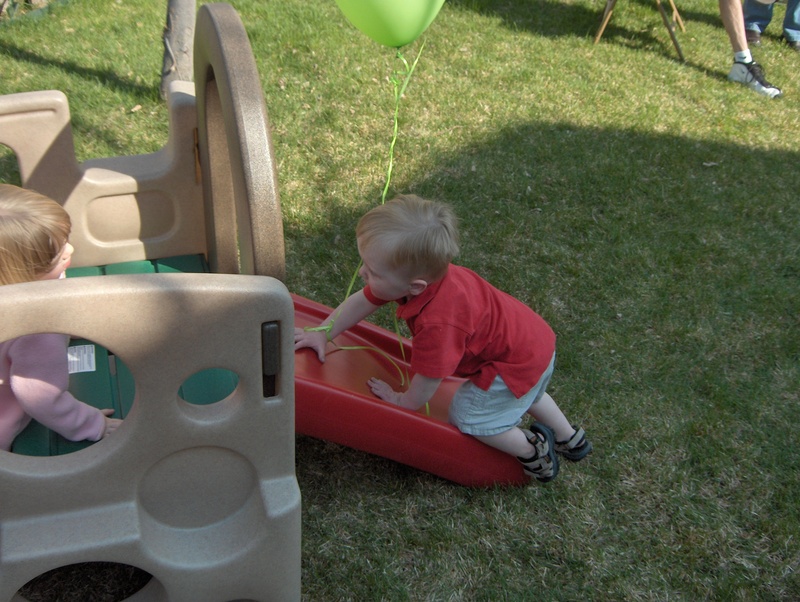 Jim’s mom gave Liam a toddler slide that lived beneath the tree with the swing. Both items are long since replaced with an aluminum swing set that the kids have already outgrown. Tonight Moira had leaves in her hair. She’d been on the trampoline and under the trees playing with the new puppy. The leaves are falling fast in Colorado. Moira is my independent child, and she uncharacteristically let me loosen her ponytail and rake my fingers through her hair, hair she barely had when we moved into this house when she was three months and seven days old. Running my fingers through her hair, not in a hurried battle to get to school, but to gently loosen some leaves that came from our home was the highlight of my night. My house was twelve years old when we moved into it. We are its third family. The second family put in beautiful hardwood floors that made us buy this house, but that family barely lived here, they blew through like the leaves the puppy brings in on his fur. For our first few years here, when my children crawled I took painstaking care of these floors. Now they are worn and scratched, in need of refinishing and polish. My attention to floors was diverted as the children spent less time on them. We’ve replaced counter-tops, painted inside and out, replaced all of the appliances, and we pray each winter for the furnace to last one more year. Ironically, our home was built the year Jim and I moved in together, in a tiny apartment in a terrible neighborhood. It took us twelve years to get here. Now, our relationship and our home is twenty-one years old. In one more year our home will be ours longer than it belonged to its first family. Yet, I know we will leave this home someday when our children are grown and there is no aluminum swing-set, no trampoline, no puppy under the trees. Our beloved trees, planted by the first family, which have grown so much will be even bigger when we leave. And we will leave because we won’t always need three bedrooms upstairs and the two in the basement, but another family will. The day will come, whether I like or or not, when a new young families steps inside the walls of this house to remake a home. I know I will leave here as surely as my eyes know there was once an orange baby swing I could see from the kitchen window, and my hands know the weight of my children’s small bodies as I pushed that swing, and my heart knows how light and empty the outgrown swing felt when I carried it into the garage when it was no longer necessary . I know when we leave our home it will become a house again. In the years left between now and then, I hope for prom photos, graduation parties, and the milestones every home and family should enjoy. But we came to this house a family bereft of entitlements or expectations, seeking shelter and hope. Not even so fine a home as we’ve built can restore us to that young childless couple who celebrated a pregnancy test in the townhouse of innocence only to dissolve into fear four months later. Our sorrows and fears followed us into this house along with our furniture and cookware. But, our home is a blessed place where our terror has been worn down like the once gleaming floors to a lived-in and comfortable pragmatism. Now, while I am situated in this moment when my children chase a puppy across the yard and throw their backpacks in a corner that will one day be empty, I will inhale the scent of September seventeenth, reach through the patchwork of leaves over my head to hold the blue sky for just a moment, and I know – this is my home. This is a beautifully written text.